The Peter Pan House in Kirriemuir is the birthplace of J M Barrie who is best known for his wonderfully enchanting story of Peter Pan. His childhood house is equally as delightful and visitors have a rare privilege to see where he grew up and step into the rooms where he spent his childhood and even go into the wash room that is said to be the inspiration for his Wendy House and was his first theatre during his childhood. 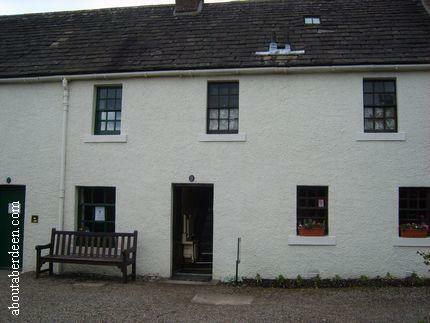 The house that was JM Barrie's birthplace in 1860 is located at 9 Brechin Road in Kirriemuir in the County of Angus in Scotland. The exhibition and museum extends into number 11 Brechin Road. There is a council run car park on the same road and the home is just a short walk away. Although it is a lovely old building there is a disabled stair lift so that less mobile people can still enjoy this unique piece of history. Access for all visitors is via the rear door, across from the wash room. There is a toilet visitors can use here. Pushchairs need to be kept outside due to lack of space in the Peter Pan House. Photography is not permitted inside the house but www.aboutaberdeen.com was able to take the external photos displayed on this review. The J M Barrie family home was given over to the National Trust for Scotland (NTS) in 1937 by Mr D Alves whilst the copyright of Peter Pan went some years earlier to the children's hospital Great Ormond Street Hospital in London. There is a family tree on the first floor which shows that JM Barrie died with no heirs though he did have nephews. 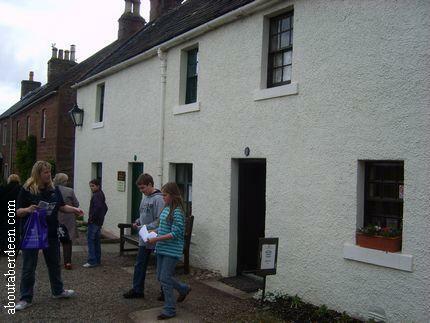 Turning right into J M Barrie's house takes you to the visitor centre and the start of the tour. There are visitor information wooden boards in each room that describe the key features and the history of the Peter Pan House. 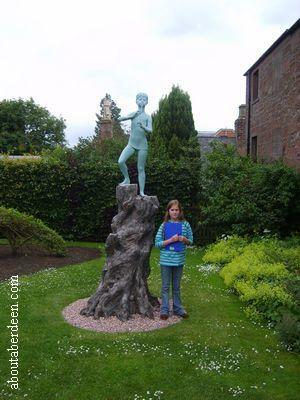 The guide on the ground floor is also happy to answer any questions and can give out a quiz to children to keep them entertained as they tour the Peter Pan House birthplace of J M Barrie. 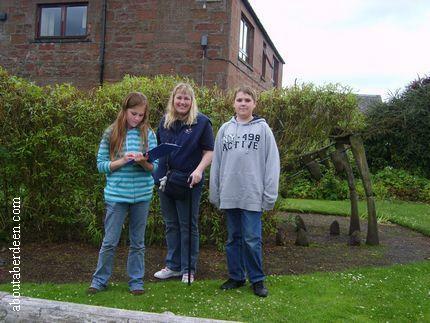 When the kids take their completed question sheet back to the National Trust for Scotland guide they get their answers checked and a free gift. The aboutaberdeen.com children received a lollipop each. Rooms include the bedrooms, study and kitchen and there is furniture from his era at the house and also his flat in London where Sir James Matthew Barrie wrote more of his famous works such as the plays The Twelve Pound Look, Mary Rose, Dear Brutus, What Every Woman Knows and The Boy David. One of the bedrooms contains a small theatre behind a screen and children can climb onto a special platform where they can lie down and pretend to fly like Peter Pan. A light wind machine helps to give the allusion of flying. Peter Pan, Wendy and the Lost Boys costumes are on display on some of the beds. Many of the books by J M Barrie are on display in the library along with a collection of photographs and original manuscripts. Outside to the rear of the Peter Pan House and childhood home of J M Barrie is a children play area and garden that continues the theme of the museum. The middle living willow hedge is shaped like a crocodile and there is a splendid Peter Pan statue and carving as well as a picnic area. The carving contains many creatures and animals for the kids to find. The out building to the left is a Pirates Workshop and the NTS hold activities for the children and schools here. 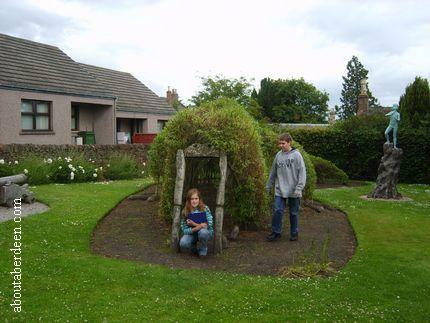 Next to the garden is the family wash room house that was used by a young J M Barrie to hold plays and performances. It is thought that this building was his inspiration for his Wendy House. 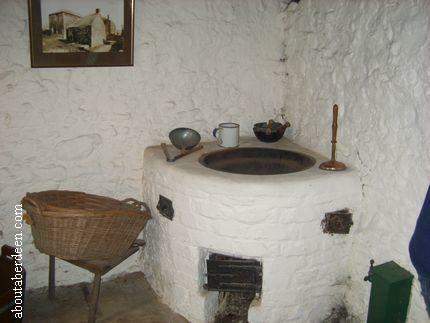 As can be seen in the photo below it is furnished with period washing equipment. 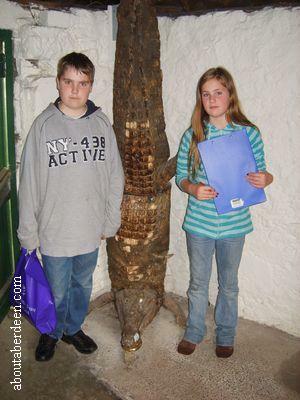 In the corner, behind the door, is a scale carving of a crocodile. In 1930 Sir James Mathew Barrie was granted the freedom of Kirriemuir and he gifted the town the Camera Obscura on Kirrie Hill which gives views across the Angus countryside. This is now owned by the National Trust for Scotland. It was an overcast day when Aboutaberdeen.com visited so we will return to review this building and take some photographs for the website. There is no tearoom but there is a small shop selling a wide range of Peter Pan and J M Barrie items such as games and books. More Places To Visit With Children In Scotland.